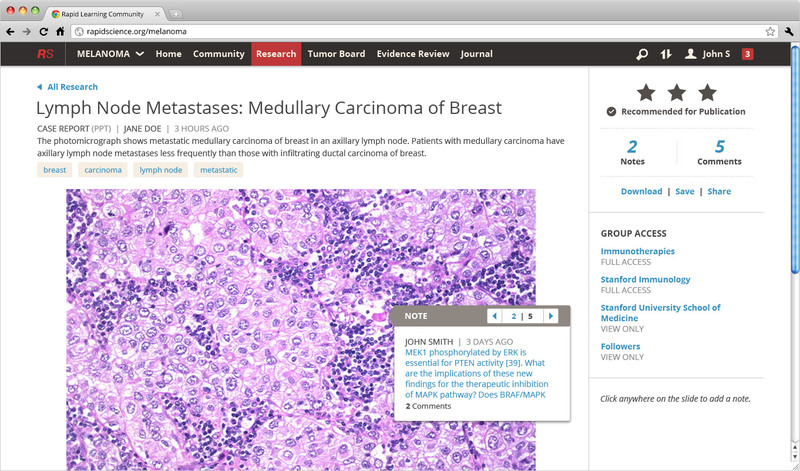 Open, collaborative networking accelerates scientific discovery. 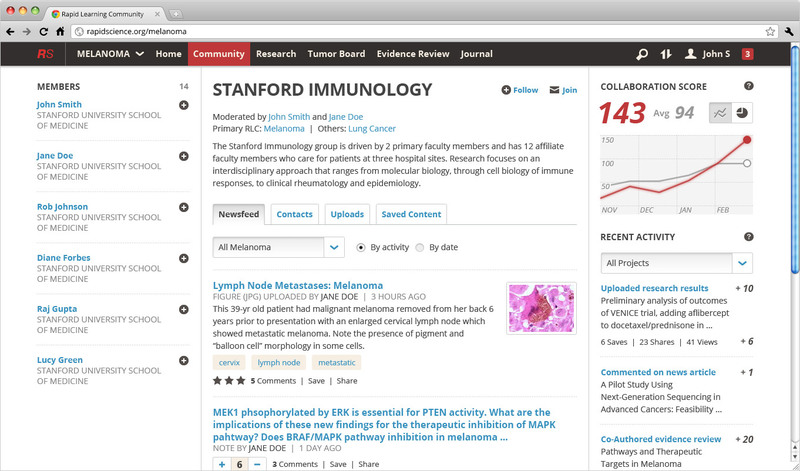 We are piloting this concept in fields of biomedicine, where discovery of new molecular targets, diagnostics, and therapies and their combinations can benefit today’s patients. 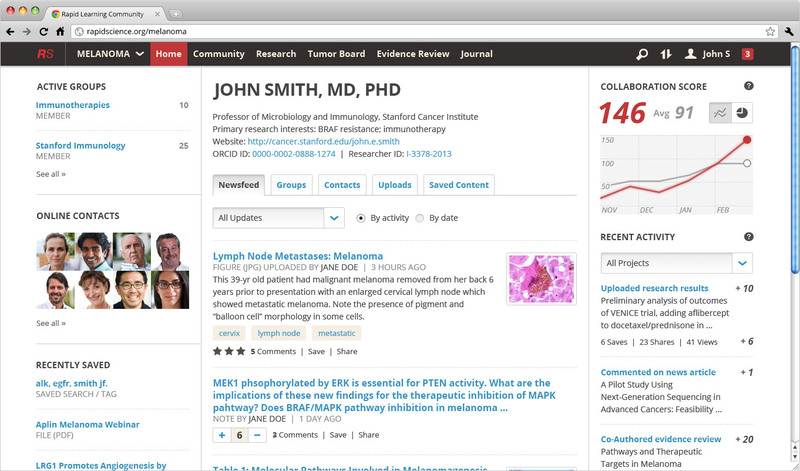 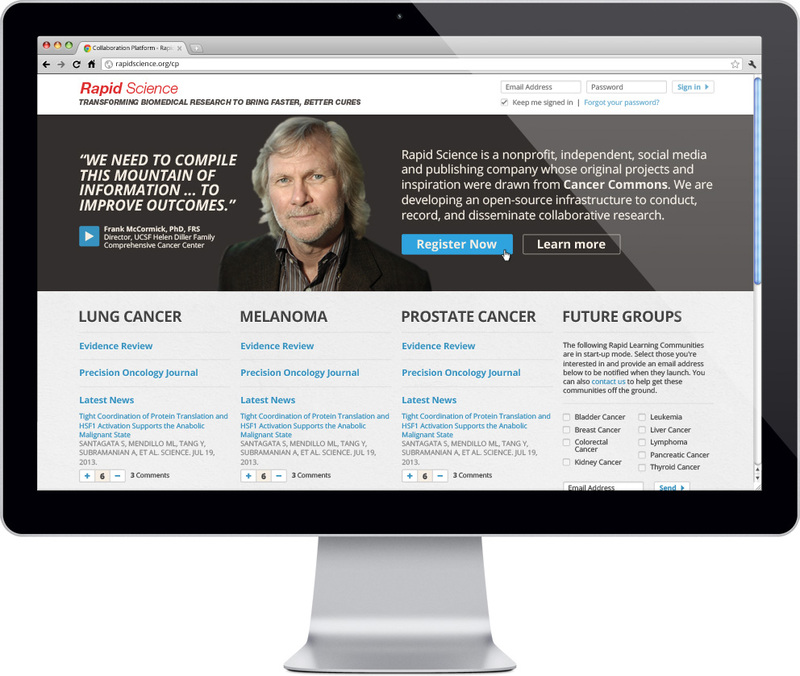 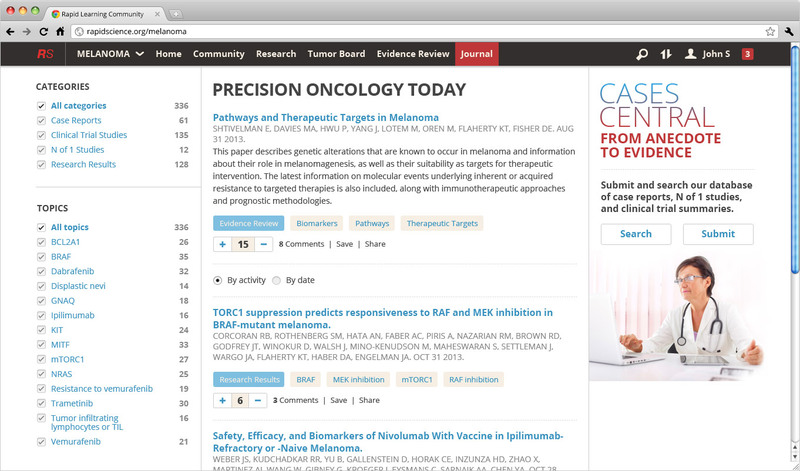 Rapid Science provides unique tools, templates, a publishing venue – including a clearinghouse of patient data that includes omics and outcomes – and incentives to collaborate. 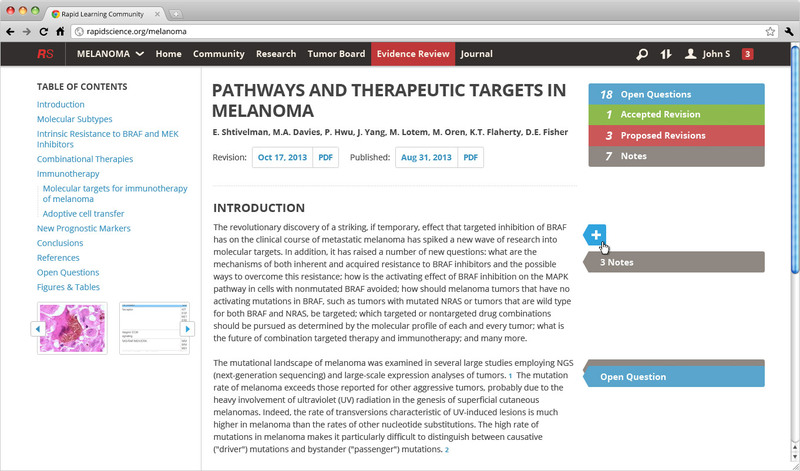 The prototypes shown here were developed at Cancer Commons with generous funding from the Adelson Medical Research Foundation – a collaboration of melanoma researchers and clinicians focused on precision drug discovery. 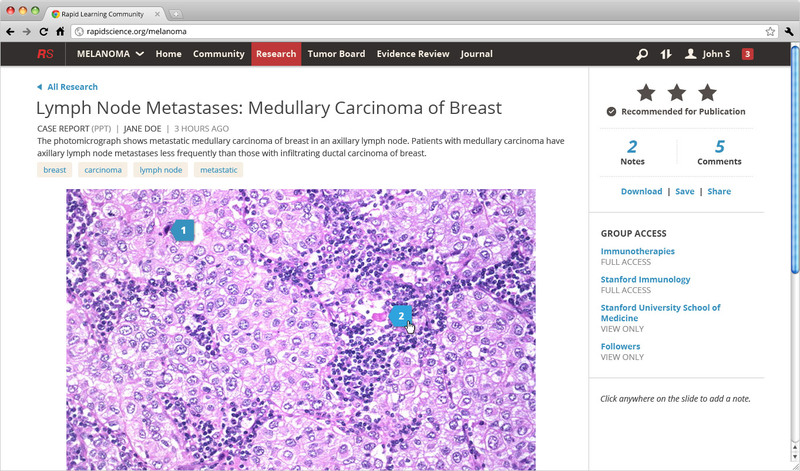 Tables and figures can also be attached within the comment thread. 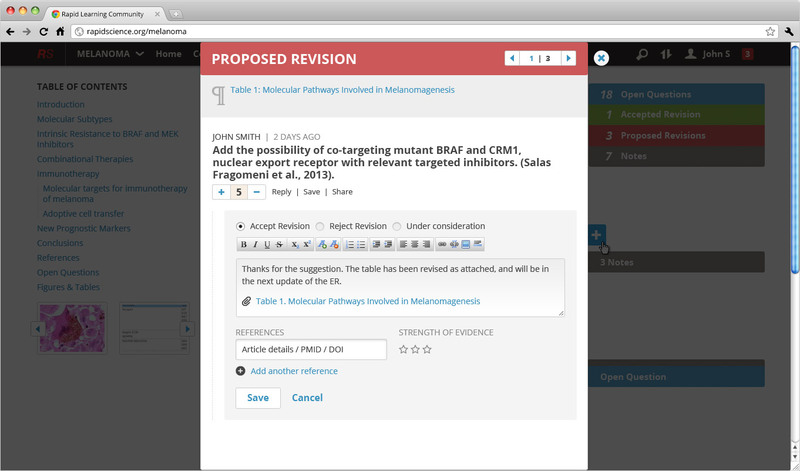 All Notes connected with the presentation can be viewed by clicking through the numbers in the header of the Annotation modal window. 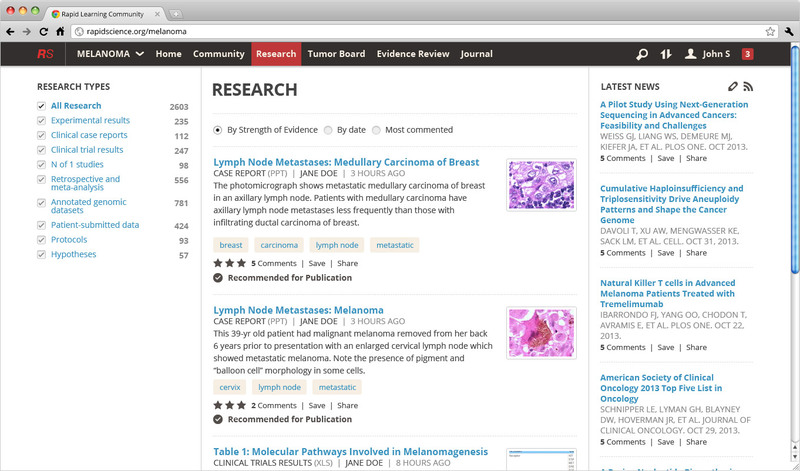 The “working version” of the Evidence Review reflects the latest consensus of the community regarding a specific cancer type; research, patient data and conversations are intended to validate, refute and amplify this document.